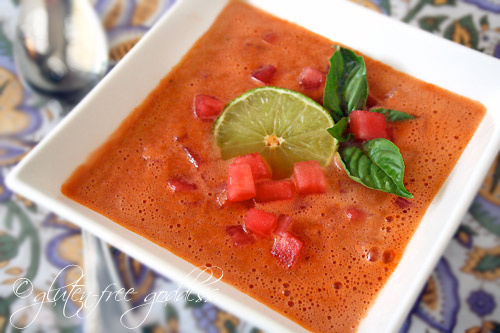 Refreshing watermelon gazpacho. Serve cold, cold, cold. Happy August. The Dog Days of Summer are upon us. The Back To School Sales have commenced. Evenings are shorter, sultry and sticky and it's too damn hot to cook. Here in our sweet little Santa Monica sublet the modest act of baking two potatoes nudges our ambient temperature to a hot flash inducing tie-dyed t-shirt peeling UGG tossing fever pitch. I pace and prowl for air like the downstairs yellow cat who slinks into our kitchen unnoticed despite his thunderous girth. I stick my sweaty matted head out the kitchen door inhaling the hope of an onshore breeze. My restless, itchy body you see is trying to ignore the calendar. I'm craving baked potatoes in the thick of summer heat. It's a comfort food thing. Our lease is up in seventeen days. The house back in New Mexico is empty and waiting for our return. No buyers on the horizon. Yet. They're out there, I'm sure. Waiting, too. Waiting for the right moment to make their move. Waiting for the bottom, the optimum moment to buy. Will it be announced, this happy, golden moment, this pivotal swing of the economic pendulum? Will a press conference be called? A glittering disco ball dropped? How will the experts know, is what I want to know. The experts in charge apparently didn't see this ride coming. Or maybe they were just, you know, flying their corporate jets to St. Tropez. Dancing in the dark with starlets. Snorting Cristal. Maybe I should break out my tarot cards. Read tea leaves. Dance with a chicken (would a chicken lie to you, I wonder?). Or maybe I should just make some soup. Cold soup, for a long hot wait. A cold watermelon soup for hot summer days. Tailor this recipe to your own preferences. If you prefer it more chunky, switch out the romaine for a large yellow pepper. Add a garnish of finely chopped red onion or a dollop of creamy Greek yogurt and chopped fresh mint. Slice the watermelon, cut up most of it, taking out the seeds; reserve about 1 cup, diced fine. Toss the cut up watermelon into a Vita-Mix or blender. Add the cucumber, celery, lettuce, tomato, garlic. Pulse and blend the mix briefly to process it. Add the juice from one lime. Add the vinegar, chopped herbs, sea salt. Pulse till combined. Taste test. Does it need more lime juice? A touch more salt or vinegar? Pour into a storage container, add in the reserved diced watermelon. Cover and chill until serving. Two hours is best. There are so many options in this recipe. Modify it to suit your taste buds. Add some fresh chopped seeded jalapeno if you prefer it even more spicy. Use traditional garlic if you like a stronger garlic taste. Add some traditional bell pepper if you like it chunky- red, yellow or orange peppers would be best. Taste test and make the flavors your own. My daughter waitressed at an upscale restaurant in Nantucket a few years ago. They featured watermelon in a number of appetizers, salads, and soups. At first, I thought it odd. But when you taste these unusual dishes, your mouth just goes "wow"! So, I'll bet your watermelon gazpacho is a winner! we just devoured some juicy watermelon tonight and talked about the idea of your soup. hope you are staying cool! Love the pairing of watermelon and hot pepper. I believe I could eat some form of gazpacho every day during the summer. There's nothing more refreshing. This sounds great! I just got a vita-mix and am looking for blended vegetable salad\soups! I make a really good romaine soup with cauliflower in the cooler months - the romaine adds a depth and texture that surprised me. I'm sure that this soup is a heady marriage of incredible flavors. This sounds sooooooo refreshing! When I hit the farmer's market tomorrow night - I'll see if I can find ingredients. Your blog is looking sweet! Wow, what an intriguing combination of flavors. I have half a watermelon in my fridge right now, maybe I should adapt it to a version of this soup! With the 100+ temps they're forcasting this week, it would be just the thing to cool off with! I'm always stunned by the beauty of your writing before I even get to the recipe. Then when I read the ingredients, I amazed again. You are truly so multi-talented. Putting watermelon in gazpacho is brilliant. I need to make some gazpacho soon! Once again, I find serendipity here. My daughter just had her braces tightened, and can't chew anything without pain for a few days. I logged on hoping to find a cold blender soup to feed her, and there it was, posted mere hours earlier. Sweet! Good luck keeping cool, and with everything in your life. Again and again, many thanks. 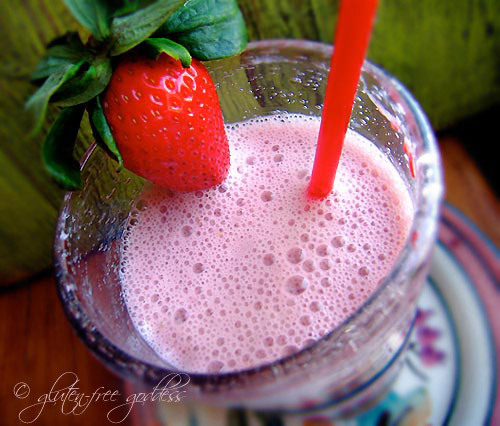 That actually looks quite nice and refreshing (even though I'm not too fond of some of the ingredients!). I’m usually not a huge fan of cold soups, but this looks so refreshing and delicious. And I love the color! I love your blog! 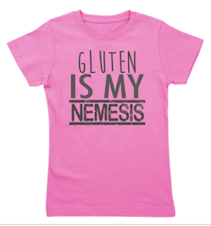 I read your story on how you became gluten free and boy! can I relate. 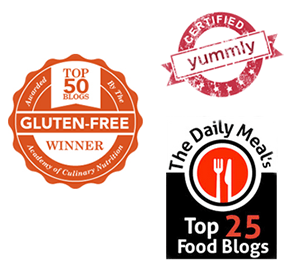 It's a real journey going gluten free but, well worth the trip. 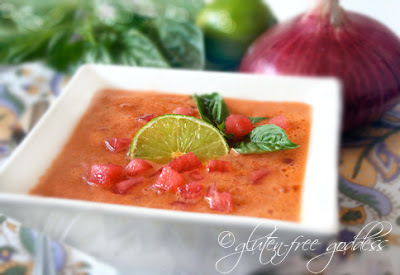 That watermelon gazpacho looks like something I'll have to try. Thanks for your blog! O my God!! This is so delicious!! Wow this looks great. I would love to try watermelon in a savoury sort of recipe. I just made this and put it in the fridge to chill - tastes awesome already! I used a couple heirloom tomatoes instead of canned with chiles. I can't wait to have some later tonight! I recently had a watermelon gazpacho at a neighborhood restaurant that is 80-90% local ingredients. They made their gazpacho with curry powder in it. It was amazing.